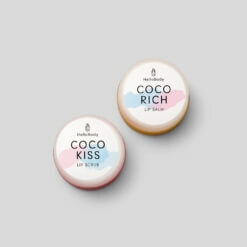 The perfect duo for a healthy skin! Our COCO FRESH cleansing foam provides clean, healthy skin every day, while our COCO CLEAR moor peat extract mask deeply unclogs your pores, and offers a smoother, more even complexion. 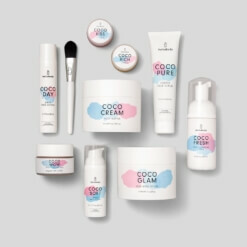 Note: orders containing the COCO FRESH will be shipped from the 04.26.2019 on. Did somebody say foam party?! 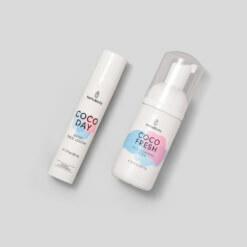 Discover the benefits of this duo! Smooth cleansing mousse that gently removes impurities, excess sebum and daily makeup. 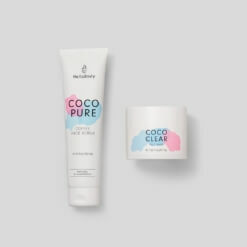 Coco-glucoside: a naturally mild cleanser. Treat yourself to a cleansing break with this moor extract-infused mask. It binds toxins and supports the skin’s own cleansing processes. Recommended use: once to twice a week. Avocado oil: hydrating and regenerating properties. Soybean oil: smooths and replenishes the skin. 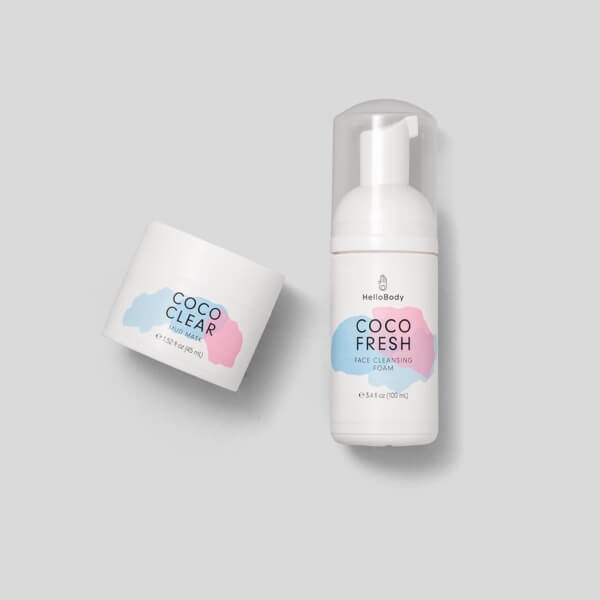 Step 1: cleanse your face with our COCO FRESH. Place a nut-sized amount of our foam in your hand, then apply to wet skin. Massage your face and rinse with warm water, then gently dry your skin. 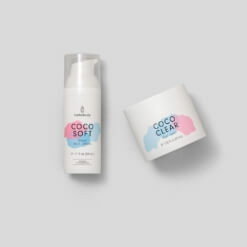 Step 2: apply a generous layer of our COCO CLEAR peat mask using our MASK BRUSH or your fingers, avoiding the eye area. Leave on for about 15 minutes before rinsing with cold water and drying your skin. Finish by hydrating your face with one of our moisturizers. 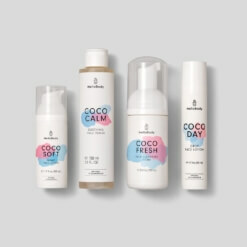 Water, Sodium Cocoamphoacetate, Coco Glucoside, Glycerin, Lauryl Glucoside, Natural Fragrance, Sodium Cocoyl Glutamate, Sodium Lauryl Glucose Carboxylate, Lactic Acid, Moor (Peat) Extract, Hydroxypropyl Oxidized Starch PG-Trimonium, Chloride, Potassium Sorbate, Sodium Benzoate, Starch Hydroxypropyltrimonium Chloride, Levulinic Acid, Panthenol, Allantoin, Sodium Levulinate, Isopropyl Alcohol, Sodium Lactate, Sodium Chloride, Urea, Sodium Carbonate, Cocoyl Proline, P-Anisic Acid. Water, Heilmoor Clay, Sodium Chloride, Polysorbate 20, Propylene Glycol, Avocado (Persea Gratissima) Oil, Xanthan Gum, Phenoxyethanol, Caprylyl Glycol, 1,2-Hexanediol, Panthenol, Ethylhexylglycerin, Allantoin, Tocopheryl Acetate, Ubiquinone, Natural Fragrance, Sodium Polyacrylate, Ethylhexyl Stearate, Trideceth-6. If you have not received any shipping confirmation within 14 days of your purchase, please contact our customer care.